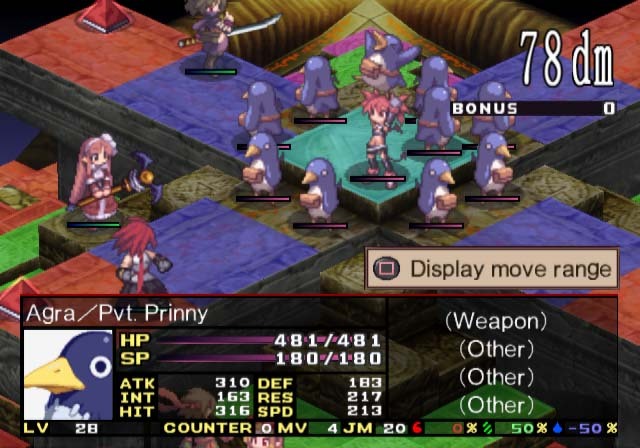 Sony has announced that this week’s North American PlayStation Plus update will give Vita-owning RPG fans plenty to smile about as Disgaea 3: Absence of Detention joins the free Instant Game Collection. An upgraded version of the previously released Disgaea: Absence of Justice for the PlayStation 3, Disgaea 3: Absence of Detention centers around Mao, a Netherworld Evil Academy student. The game’s dark humor story line has Mao plotting to take revenge on his demon overlord father for destroying his video game system — which will have the added benefit of putting him on the demonic throne. Absence of Detention features several improvements over the original game, including; improved graphics, additional characters and close-up shots, extra chapters, and all of the DLC released for the PS3 version. If RPGs are not your style (or you are one of the many gamers who apparently don’t own a PS Vita) today’s PlayStation Plus update will also bring with it a huge sale on the back catalogs of two financially troubled video game publishers. The recently bankrupt, former video game publisher, THQ is also having a massive sale on several of their older titles. Both Square Enix’s and THQ’s sales end on April 2nd, so make sure to hop on your selections as soon as possible. Finally, escapeVektor for the PlayStation Vita has been marked down by 55% for PlayStation Plus members, making the normally $9.99 game a mere $4.49. Let us know which titles you are picking up with your PlayStation Plus discount in the comments down below. Personally, I’m going to make sure to finally add Stacking and De Blob 2 to my ever expanding collection of digital games that I don’t have time to play.